What follows here is an outline of activities we did for TODS Day 2016. 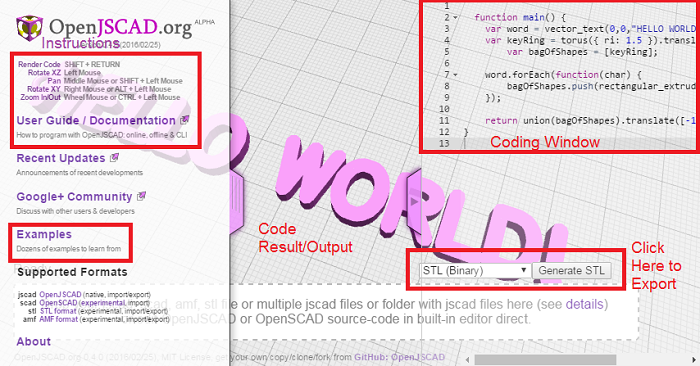 Open JS Cad is a programming environment that allows you to build 3D models that you can print. Render Code: SHIFT + RETURN. The “Generate STL” button creates a “Download STL” button where you can download a file of your creation that you can send to a 3D printer or open in other 3D modeling programs. Loom: a knitting loom, the code is very well-written and easy to follow. Parametric Cryptex: this one is neat because it adds a form to the screen where you can modify the variables instead of updating them in the code. Rope Ring: I have no idea how this works, but it’s neat. OpenSCAD: the free open-source windows application on which OpenJSCAD was built. Uses very similar code, but with some syntax differences. 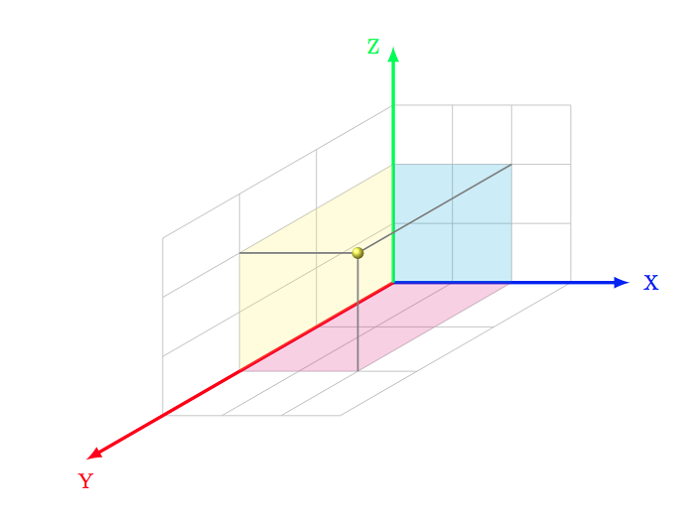 TinkerCad: very easy-to-use online tool for building 3D models. Blender: very robust free open-source windows application that allows building complex models, 3D art, and animations. 3D Hubs: a network of people who own 3D printers and will print your models for a fee. Shapeways: company based in New York that can print your models in a wide variety of high-quality materials. Thingiverse: lots of free models you can download and play with. NASA: a growing collection of satelites, space ships, and astronomical features you can download and print.